We are looking to raise money to bring life to Swipe: The Play. Swipe is a play about being a woman in the modern world where we are constantly surrounded by technology, selfies, online dating, and the constant thought that someone better might be after the next swipe. It's a relatable piece about the reality of life in the 2000s. New Match Collective is a brand new all female theater company. As a company of all women, we think it's highly valuable to see more portrayals of women in theatre that also normalize their experiences. We are a mesh of current and past East15 students, as well as other performers. We're like the Spice Girls (except there's seven of us and we're American/Welsh/English/Scottish, but we totally support girl power). Swipe was driven out of a need to shed light on the way life, dating specifically, works for a woman when technology is now the norm. 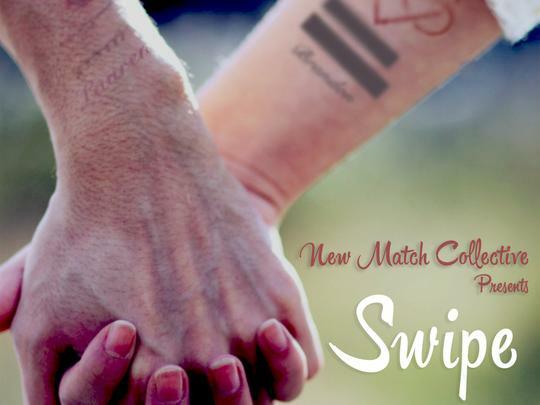 Swipe: The Play is a piece that was written by our Artistic Director and actor, Alyssa Salter, but is a collaborative effort amongst the company. Our goal was to give a voice to the experiences of women who are riding the roller coaster that is life through technology. Many interactions are viewed through a phone or computer screen. This is new and unique to the current generation of eligible daters, meaning it's a learning curve for everyone. The spark for this project came from a series of bad dating experiences through the online world, first hand by our playwright Alyssa Salter as well as second hand stories shared by numerous women. The need to explore the stories, to laugh about encounters, and to voice those who feel voiceless was a major factor in the creation of this project. We reached out with a survey to all of our friends and asked them to share their stories with us. Swipe: The Play isn't the ups and downs of one woman. It isn't an isolated incident. It is the laughter, tears, heart break, joy, pick up lines, and frustration of hundreds of women. The first reading New Match Collective did of this show really demonstrates why we think it's so important. We HAD to take many pauses as we sat reading the script. This was because every few lines one or more of the company members would groan, gasp, give a resounding "YES! ", or shake her head muttering "That hits close to home". Stories would then be traded and bonds began being made. If we reach audience members in the same way where they get to share their stories and create conversations, then we consider that a success. By donating to this project, you would not only help us as a company to put on a piece of theatre we are passionate about but you would also be supporting representation of women in the arts. The Guardian posted an article explaining that there is STILL under-representation of women in the arts, as bad as 2:1. Seeing as women make up half the population, you can see why that number is disturbing. Money, money, money....ain't it funny? The majority of the money for this project will be going towards fees to pay for a space in the Camden Fringe. The theatre spaces require a rental fee as well as a deposit per performance. This is what would be covered by the minimum goal. If we reach our full goal, or beyond, we would be able to advertise better and pay our actors. The ideal is to reach this point where we are able to make a profit and share our art. Everyone loves a good prize, we know that. That's why most online dating apps will frame it like a game, because who doesn't love winning? You too could win! Not only would you be supporting the arts, feminism, passionate actors, but you also get a reward! WHAT A DEAL! We understand that budgets are tight and if you can't donate, that's not the only way you can help! Anywhere you can share, tweet, like, or reblog our page is a huge help. The more people see this project, the more people are likely to participate. Please share this project with anyone you think would support us – on Twitter, Facebook, LinkedIn, by email, telephone, in a chat over the fence or on your blog. Even if you are skeptical whether they'd support us, share it with them. You never know who has a secret passion for the arts or for supporting new plays! Now, if you donate AND share you are a golden superstar! Help us get our project up and running! We will write a romantic haiku for your chosen target of affections. We can make it cheesy, lovely, or down right stupid. You choose! 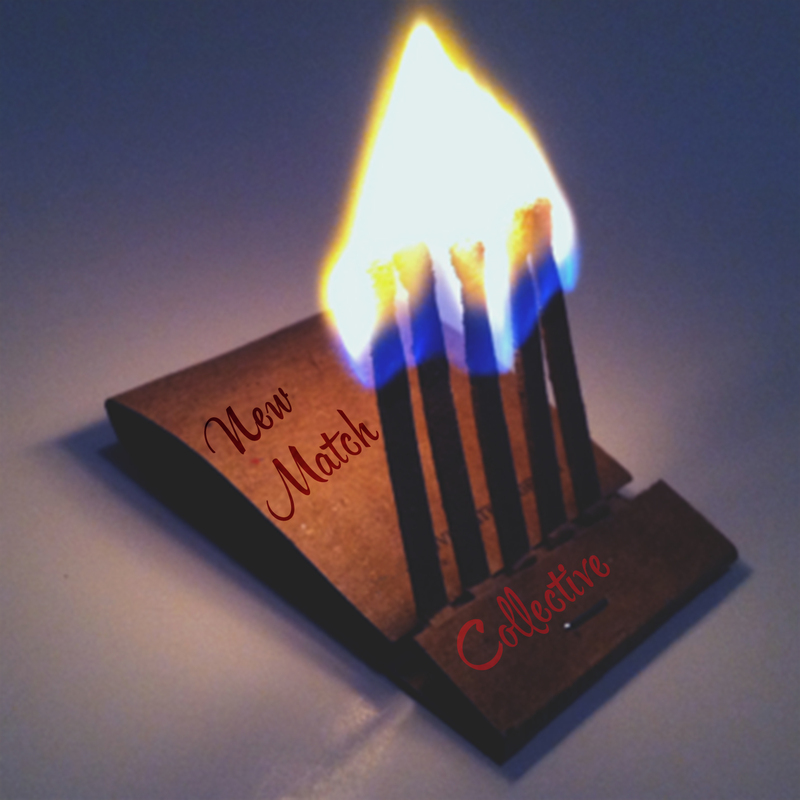 For a £10, you will get a personalized New Match Collective post card. This can be personalized to you, to someone else, or left blank. Your postcard, your way! Selfie Madness! For £20, we will let you choose one of the company members to receive a make-over. The catch? You get to choose the look we will make them over with. It could be something like, "Victorian era" or "80s hair band". You could even request that we get someone completely CLUELESS about make-up to do the make-over. Our face is your command! Flash-drive roulette! You will get a unique flash drive including photos and videos of the production process. It will include a personalized video message from the whole company or member(s) of your choice! Video Killed The Radio Star! You get to choose a cast member to record a comedy 1980's dating video. You can give them three characteristics and the rest of the magic is on our side. Who doesn't love some 80's dating videos? #VideoPhone This gets you a copy of the show that we record when the show opens. This is a great way to see the show if you do not live in London and cannot make it out for the festival. Don't miss out on the show, let technology help out! DOUBLE DATE! Why choose one when you can get a recorded version of the show AND a Tinder Top with your choice of image? No reason. Do both. Swipe, Swipe, Hurray! For this generous donation you get the postcard, the unique flash drive, a Tinder Top, and digital copy of the show. Could you call this love at first Swipe? You can. Mmmmm, food. You get to be pampered by New Match Collective with a collection of recipes for the perfect five course date night. We will wine and dine you with our choices! We will also include the New Match Collective post card, flash drive, Tinder Top, and a recording of the show. *We can offer vegan and vegetarian recipe options. The Perk of Your Dreams! Wow! You have not only our undying love BUT: two post cards, a unique flash drive, a copy of the show recorded, a Tinder Top, a signed poster signed by New Match Collective, your name in the program, and a paper back copy of the script signed by New Match Collective.